Last but certainly not least in the series is the Aquaculture Association Of Trinidad & Tobago (aQuaTT). 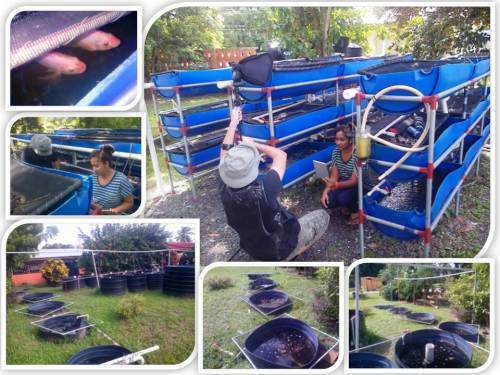 With a revamped website and new management the Aquaculture Association of Trinidad and Tobago (AQUATT) is well on its way to ensuring the progress of its members. The association has a data base of about 400 persons, 75 members, and approximately 24 (including a nine member Board of Directors) financial members of which 5 (non-board) are producers. In early December 2013 the association offered an introductory training session in partnership with the ASTT (Agricultural Society of Trinidad and Tobago) and the SFC (Sugarcane Feed Center). This was a 10 day course that spanned 10 Saturday sessions. Certificates under the Caribbean Vocational Qualification (CVQ) system was awarded to all 30 persons that completed the training adding new producers to the industry’s growing number of stakeholders.